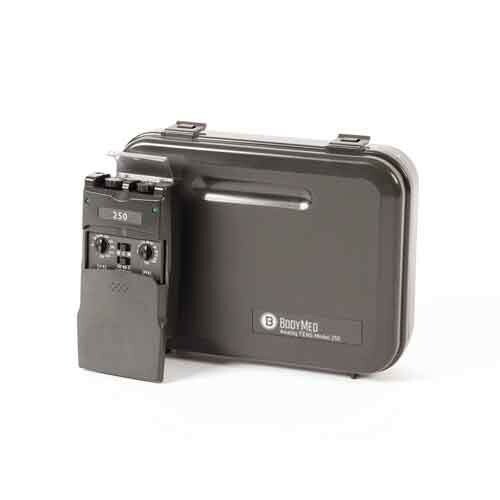 BodyMed's Analog 250 TENS Unit is a portable unit perfectly adapted to be able to relieve pain on-the-go. Dual isolated channels with asymmetrical output, you can adjust the pulse rate and intensity as you move throughout your day. If you're in pain, simply set your adjustments to a more comfortable pulse setting and let the unit work for you. The unit has three modes of operation: conventional, burst or modulation. Comes with a timer for added convenience. Works well for pain relief. I use it occasionally, when I over due my excercise. I like it, because it is right size and takes my mind off the pain.